There can be no doubt that the combination of my love of the drawing style of da Vinci, and a show which had the subject of the horse, were the ideal opportunity to enter this work. 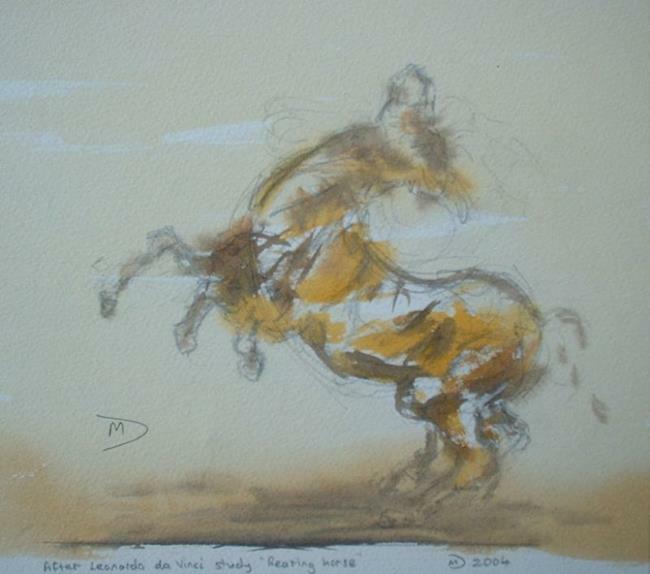 It is a study of the fluidity and movement of the horse, taking inspiration from da Vinci's drawings. Materials : Artist grade W&N watercolour paints on Saunders Waterford (NOT) 140lb watercolour paper.